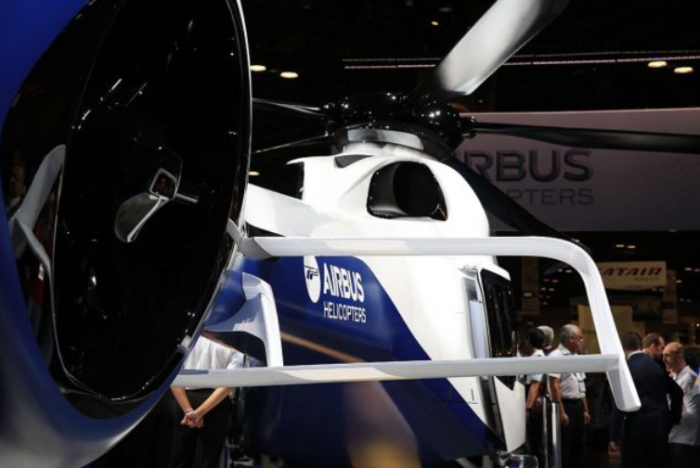 The Airbus H160 is the world's first all-composite civil helicopter. 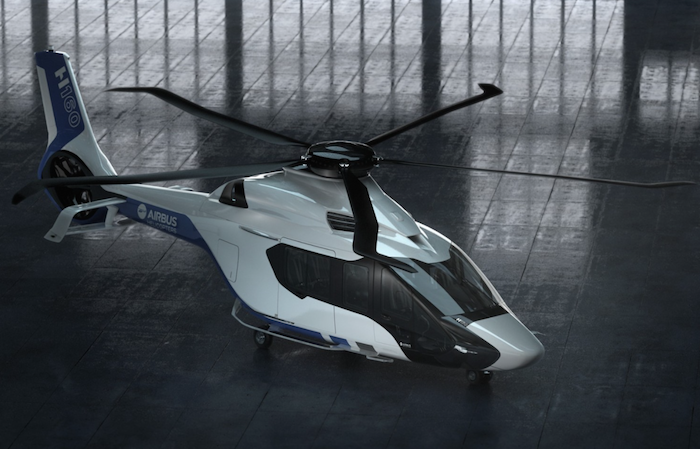 H160, lightweight chopper could cruise at 185 mph for a range up to 120 nautical miles. Main rotor blue edge blades are shaped like a hockey stick at the leading edge that reduces noise generated by blade-vortex interaction. H160 weighs 5-6 tons and is capable of carrying 12 passengers and hover out of ground effect up to 5000ft. 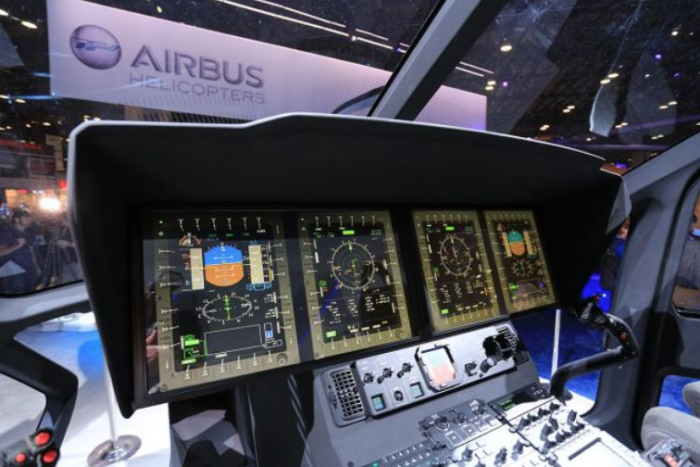 The cockpit is equipped with Helionix avionics suite, based on 6x8-in multifunctional displays that are used on airbus family so that pilots could fly different type of helicopters. It is featured with tilted tail rotor that provides additional lift and extended center of gravity range, allowing more flexible loading and passenger comfort. The H160 will have electrically operated landing gear that eliminates complicated and heavy hydraulics systems. It's airframe design incorporates a biplane stabilizer on the tail that adds additional lifting and creates more stability in hover, as well as a more level flight path.